At the law offices of Greg Coleman Law, we have recovered hundreds of millions of dollars in compensation for our clients and can provide the type of dependable, comprehensive legal coverage that you need during a personal injury lawsuit. 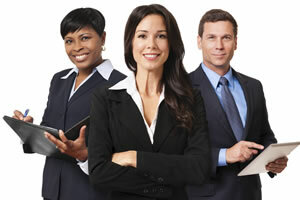 We offer 100% FREE case reviews and we only get paid when we win. If you have been injured due to the actions of another, whether through negligence or malicious intent, you deserve reimbursement for your losses, including medical bills, loss of income, pain and mental anguish. The term personal injury law can be quite broad, simply because it covers a large variety of topics and categories in the legal industry. While we do handle almost every type of injury litigation, we will evaluate or case for free and we only get paid when you win. If you or a loved one has been injured or worse, our attorneys are here to help. With over 100 jury trials and countless bench trials, our team of attorneys have recovered hundreds of millions of dollars in compensation for our clients across a variety of areas of personal damages cases. These damages are often the most common type of personal injury, and involve situations where a person suffers a physical wound in the course of an accident. Emotional stress can often be a more debilitating injury than a physical wound. Unfortunately, due to the nature of this type of damage, it can be very difficult to prove, and often requires the services of a medical / psychological practitioner to validate the claim of the lawsuit. Victims of emotional distress often encounter negative changes in their lifestyle, which can have a profound impact on their overall health and wellbeing. The impact of financial damages is often felt by more people than just the victim alone. An important element to consider is that the families and loved ones of the injured may be dependent on that person as a source of income or for the tasks that they perform (as a sole provider, or perhaps a care-giver to an elderly family member). At the law offices of Greg Coleman Law, we are compassionate to injury victims and their families, and will fight for the MAXIMUM compensation benefits that they may be entitled to. If you have suffered any damage as a result of the negligence of another person - or due to a defective product - there are some simple, quick tips to follow, to ensure that your best interests are protected immediately following the incident. While a lawyer will be able to best advise on the correct path to take for your litigation moving forward, these pointers can help to make sure that your interests are not compromised in the interim. What Costs Are Involved For Legal Representation? As responsible members of our local community in Knox County, the team of attorneys at our firm strongly believe that everyone should be entitled to comprehensive legal counsel. With that in mind, we proudly work on a contingency-only basis. What that means is that we do not charge for our fees and services unless we obtain a settlement or verdict for our clients. For those that are unsure if they have a case, we also offer a 100% FREE initial case review. This allows our potential customers to submit the information about the case to our attorneys, who will review the details and then determine if there are grounds to file a lawsuit. 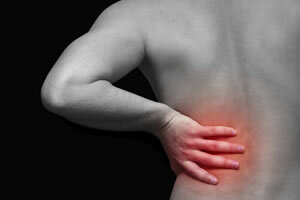 Personal injury law is complex and in many cases, negligence can be very difficult to prove. If you or your loved ones have suffered an injury in Tennessee that was caused by the actions of another, you are entitled to pursue compensation for your losses. 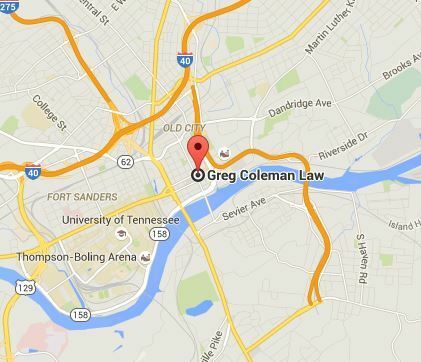 Centrally located in Knoxville, at Greg Coleman Law we proudly serve victims throughout Knox County - with our team of attorneys being licensed to practice law across the entire state of Tennessee. By providing decades of experience to our clients, we have the knowledge, resources and determination to handle your litigation. To find out how we can help you, please contact us on (865) 247-0080. A member from our intake staff will quickly collect some information about your accident, and then refer you to one of our lawyers to discuss the merits of your claim. To find out how we can help you, contact us today at (865) 247-0080 or simply fill out the complimentary "Free Case Evaluation" form located to the right and learn more about your legal options.